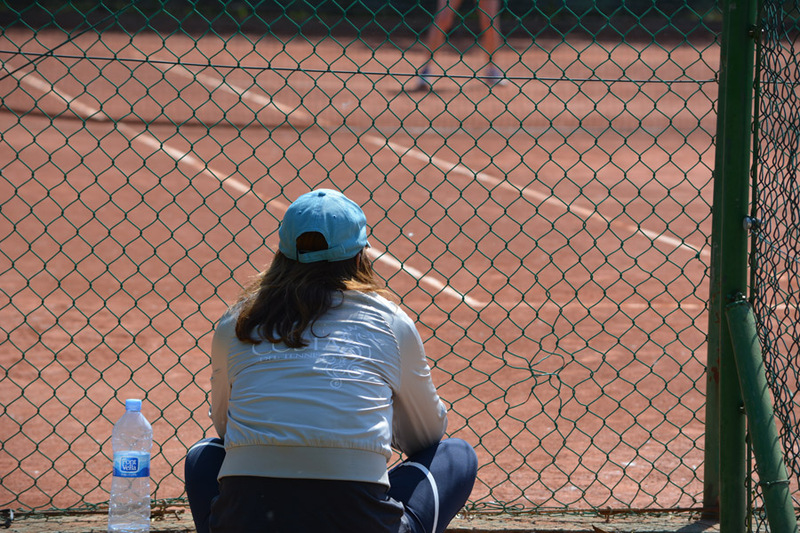 Are you overwhelmed in your tennis boarding schools search? Are you scouring tennis forums asking #GOATS and anonymous players where to send your player? Are you in search of a Plan A: Pro tennis OR Plan B: university tennis on scholarship? I get it. It’s a lot. A big and costly decision. So the place I’ll speak from is the human side of this intense path. A place where your child-player will be part of a family away from home. Looked after in a friendly and warm country. Working hard with other kids off a contagious vibe to climb towards their individual futures in the game. I mean, we all want to believe there’s a particular country out there producing young tennis stars. A particular system to follow. There’s certainly a handful of claims. And still nothing sticks. Nope. It still comes down to an individual players love for the game, strong mind, massive internal drive and the right coach/player. In a place with a large pool of players and opportunities for international competition at high levels. Now, will YOUR player be a good fit at a tennis boarding schools? Will they develop socially yet without unnecessary distractions? Are the academics well suited to your child’s learning style? What are daily court ratios like? All big and very important questions. Who looks after them? Will you have a contact person when YOU have questions or concerns? Understanding your players chances of reaching the highest levels of the game will take a true professional and human being. Someone willing to forfeit profit for reality whether you’re ready to hear the truth or not. Tough to find, but not impossible! You’ll hear it from me before you’ll hear it from him. I’m Rhonda Costa, Tennis Director of Costa del Tennis in Spain. I specialize in international adult tennis camps. I’ve been working with & trusting Jofre Porta placing juniors in his care & expertise for over 6 years now. But only if I think they’re a good match! To understand Jofre, you need to love tennis. That’s right. It’s not enough for the parent to love tennis. The player must live & breath it. The best part for me has been watching kids lives change for the better. They literally soar in a quiet confidence. Junior players return home adults with critical thinking & organizational skills and an unbounded maturity. It’s all VERY cool to see happy kids out there because of tennis. I’ve never experienced the amount of return players year after year. Eventually the conversation turns to the possibility of a full time stay and what’s involved. And take it from me, this is a very small tennis boarding school. Minimalist on purpose sitting in the middle of a small beautiful island with little distractions, lots of players and in close proximity to a plethora of tournaments around Europe. Jofre Porta’s created his own radical teaching system to advance juniors level of play. And coaches flock to him for advancement in theory and execution. If you’re looking for a top mental coach – you’ve found him. He’ll coach any junior player as long as they love tennis. His tennis school is barely marketed yet the underbelly of elite juniors find him through word of mouth and their own coaches. He rarely has space at this small 5 court (23 bed) boarding academy in Mallorca, Spain. And no, he’s not interested in expanding. This guys in it for the love of the game not the profit. That being said any disciplinary problems from players are dealt with quickly and assuredly. Players are asked to leave the academy immediately. Jofre’s served as Spain’s technical advisor. Speaks around the world at conferences guiding and advising coaches when not serving players. Jofre’s on court daily. He’s not just a name on the windscreen. He and wife Afiza, live at the academy with a watchful eye on training schedules, school, dietary, social and free time. His tennis boarding school is open year round with training 6 days a week. Including outdoor Winter training. Player rooms are prepared for four people. Long stay residents have rooms for 2 people. During high season (March – Sept) they’ll share with 2 more players. Compared to the Rafa Nadal Academy it’s bare bones. Solely focused on tennis training. I must stress this with you! If you need luxury of any kind (pool, private room, upscale anything) This is not the place for you. IMG Academy and Patrick Mouratoglou Academy would be a better option. Jofre likes to say the goals of players who reside full time is conditioned and trained as an individual. From players like long term Russian player Daniela Medvedeva from Russia who’s been there for years, now 16 and ranked the best ITF player of 2017. And other players who will advance to college scholarships in the USA. Jofre feels the parents are a part of the project. The relationship with Jofre & Afiza, player and parents is cohesive. They like to report what they’re doing and even like parents to visit the training when visiting Spain. As long as there’s no interference in the sessions. Jofre gives many conferences in many parts of the world teaching parents & coaches how to effectively help children on & off court grooming kids in the tennis life. Global has very clear values and they state them pretty quickly with reminders when needed. If parents don’t accept them, they should look for a place that better matches their values. Jofre says; ‘Parents find it hard to give their children space to develop. Competition opportunities depend on the level of each player. From ATP or WTA to regional tournaments (which are great quality in Mallorca and throughout Spain). ITF, Tennis Europe, national tournaments will be based on individual player need. Jofre likes to say; “we don’t play fantasies, experience tells us that exaggerating the calendar is counterproductive. The family environment makes the social life complete. Jofre & Afiza feel strongly about Global’s work not being limited to tennis and studies. Activities outside the facilities include; nature, culture, values, leisure all with care of quality. The Global system has nothing to do with the highly marketed, ‘spanish system’. Global Tennis Team is the result of Jofre Porta’s obsession. A way to understand the players integral formation. Combining the quality of all the elements which develop the entire junior player. Jofre feels strongly about attention to detail of his school. To the values that should be present in all training projects, in a spartan environment, comfort but without luxury! Jofre believes that Global offers an alternative to conventional tennis boarding schools. I truly don’t know other Owners / Directors living among the players day in & out – year round. Adding to a complete family structure. Because they have a very large staff, the coach player ratio is hard to compare! Emphasizing again the true quality of his unique project is exceptional. He feels it creates a very good environment to face any objective we expect. Either on court or off facing tough decisions in life. Knowing what strategy and choices to make. He demands hard work, independence and a good ethic towards other members of the small Global family. The one thing I know for sure? Your child player will have a tennis life experience most players won’t. How many kids do you know have the opportunity to play daily alongside a man who’s taken not 1 but 2 world #1 champions to the top? Remember it’s Jofre on court daily – he’s not just the name on the sign. This is a renegade coach obsessed with a dream. In creating an academy the way he thinks it should be based on his own experiences and beyond with Rafa Nadal and Carlos Moya. And no, you shouldn’t take it from me. You should take it a step further. Again, it’s a big decision and an expensive one! Contact me when on the hunt for tennis boarding schools. I can help put you in contact with parents who’s kids currently reside there. Or have in the past. Always good to hear it from a transparent source!